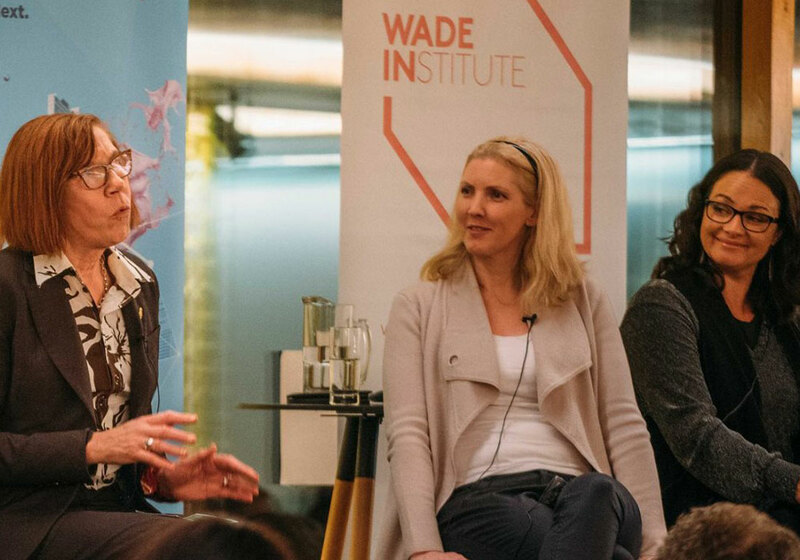 Passion and resilience were the resounding themes at a panel and networking event about women entrepreneurs at the Wade Institute Centre at the University of Melbourne. 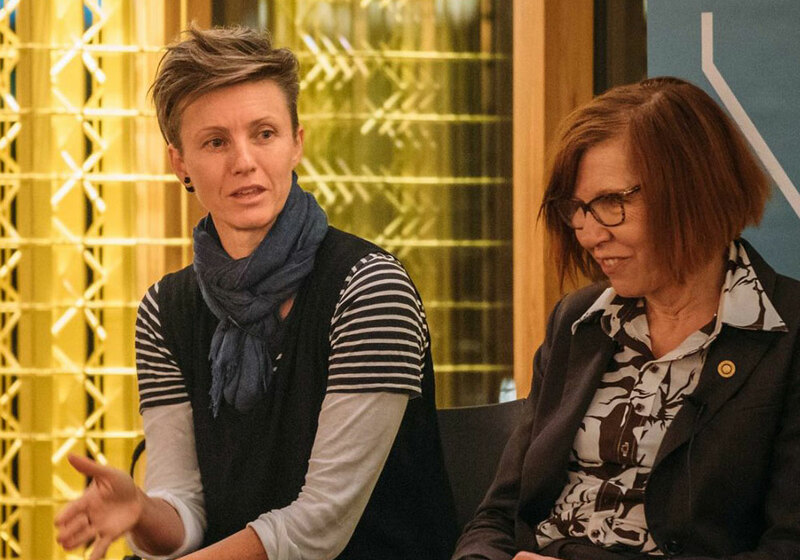 As part of Melbourne Knowledge Week, ‘Women Changing the World’ brought together three engaging panelists from very different backgrounds to the Wade Institute. Councillor Jackie Watts gave a fitting opening address, highlighting the importance of Indigenous knowledge and Indigenous women. She also addressed an unsettling figure she’s just discovered – that 90 per cent of Wikipedia entries are about men. “You ladies need to start contributing!” was her call to the room, full of women of all ages, who laughed and nodded in agreement. Preparations for the event at the Wade Institute Centre. Madeleine Grummet, founder and CEO of Do Re Me Creative, herself a “serial entrepreneur” and graduate of the University of Melbourne’s Master of Entrepreneurship, led the fascinating discussion on women entrepreneurs and business. 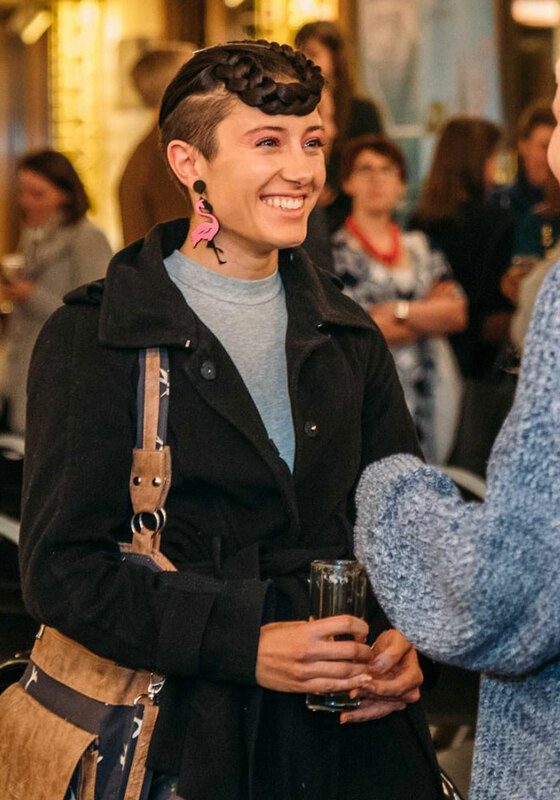 First she welcomed Bec Scott, Founder and CEO of Streat - a social enterprise tackling youth homelessness and disadvantage with eight businesses, including five cafes, located across Melbourne. Second to the stage was Dr Elaine Saunders – a leader in the development of new technologies for cochlear implants and hearing aids. A pioneer in hearing research for more than 40 years, Saunders is the co-founder and CEO of Blamey Saunders hears, a hearing aid and telehealth company. Finally Grummet welcomed Charlotte Petris, Founder and Vice President of Timelio, a FinTech company which supports small to medium sized businesses to get up and running with quick access to capital. Trained as a plant biologist, she spent 10 years working at the CSIRO before diving into the world of social entrepreneurship by way of a two year stint with a social enterprise in Hanoi, Vietnam. From that experience, her and partner Kate were inspired to start Streat in 2010. Although her background is not in business, Scott said her key entrepreneurial skill is that she is “good at getting diverse people together”. Saunders was inspired to enter the world of hearing technology as her father was deaf. “I was keen to try and make hearing devices more accessible to people,” she said. Petris, originally from New Zealand, spent 10 years working at a major bank in London, before moving to Melbourne – an entirely new city – with the objective of starting her own FinTech business. (L-R) Elaine Saunders, Charlotte Petris and Madeleine Grummet. When asked about the hurdles faced specifically because they are women, all three panellists were keen to point out the advantages and strengths of being female entrepreneurs. Scott remembered during her time at the CSIRO, where she was a junior young female in an environment dominated by older men. Bec Scott, founder and CEO of social enterprise Streat. Petris said there’s no denying that running a business and a family simultaneously is a juggling act, but you just get through it. “Every day is a struggle. I also work with my husband in the business so we share everything and juggle everything," she said. Before launching Streat, she looked at those people around her she admired. “I wrote them love letters,” she said. “I told them ‘I love what you do!’ and asked if they could spare half an hour of their time.” From those initial coffee meetings, Scott learnt a lot and met people who became investors and mentors. Saunders said being realistic about your finances was key, along with having “persistence and passion for what you do”. Have no Plan B. If people start saying you’re crazy, then you’re doing the right thing! Guests network after the panel talk. One audience members asked the panellist what were their most transferable skills that have helped in their endeavours. Saunders added “I see solutions in things”, while Petris said her driver has always been her desire to “continually want to learn”. 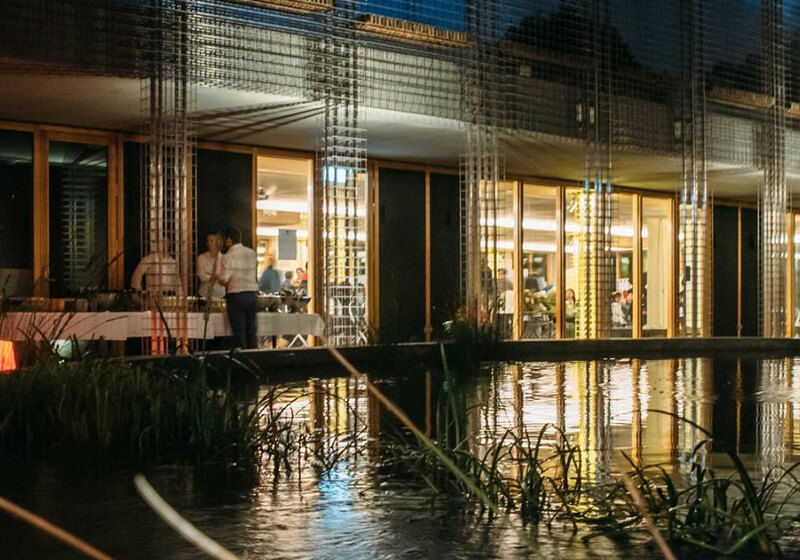 Find out more about the Master of Entrepreneurship and look out for upcoming inspiring network events held by the Wade Institute.